Folded direct mail piece with die-cut windown for Piucci Law. 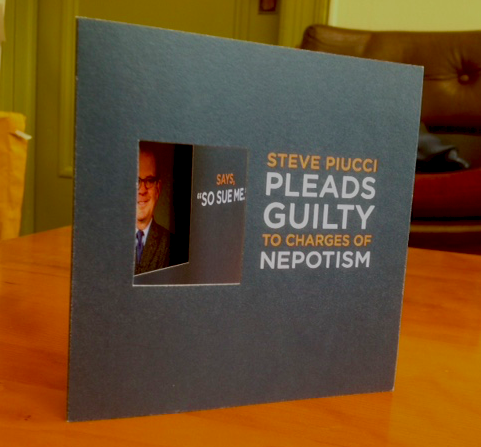 My client Steve Piucci, lawyer extraordinaire, hired his son. Together father and son strike fear into the hearts of adversaries. This direct mail piece made fun of nepotism - inside Steve says, "So, sue me." Nobody has yet.